Ocker Hill station was opened by the LNWR in 1864 only to close 26 years later in 1890. Its second incarnation didn't fair much better, opening in 1895 and closing in 1916. However, the line itself proved valuable for goods traffic, including deliveries to the then Midland Electricity Corporation's Ocker Hill Power Station which had opened in 1897. Unfortunately for our purposes, since the demise of the line Blakeley Wood Road has emerged and been realigned plus an industrial estate has been built on the area that the trackbed once occuppied. From studying the OS coordinates it appears that Blakeley Wood Road is roughly aligned with the old trackbed. 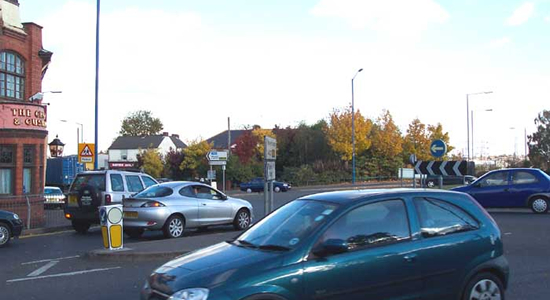 In the photograph at the top of this page, the station would have been in a cutting roughly to the right of centre behind the trees on the opposite side of the traffic island (the view is looking across to the site from Gospel Oak Road, October 2003). It was not worth taking a photograph there as it is now an old folks home and a wide road off which runs an industrial estate. After a good half an hour walking around I found remains off Gospel Oak Road of the filled in cutting leading to the tunnel under the traffic island. 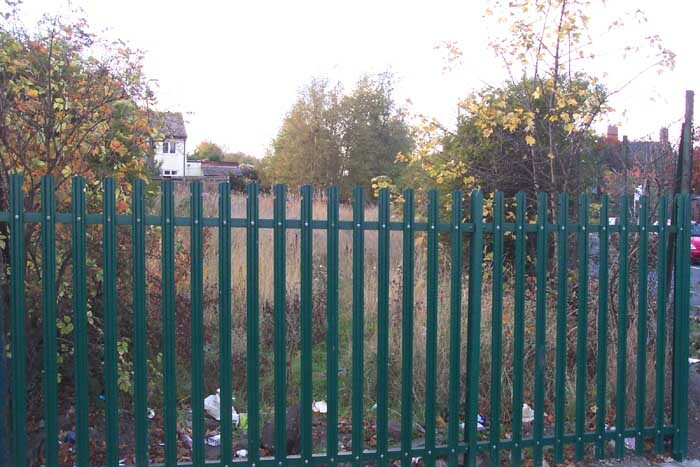 Above-left we can see that the cutting has been filled to ground level and is fenced off. 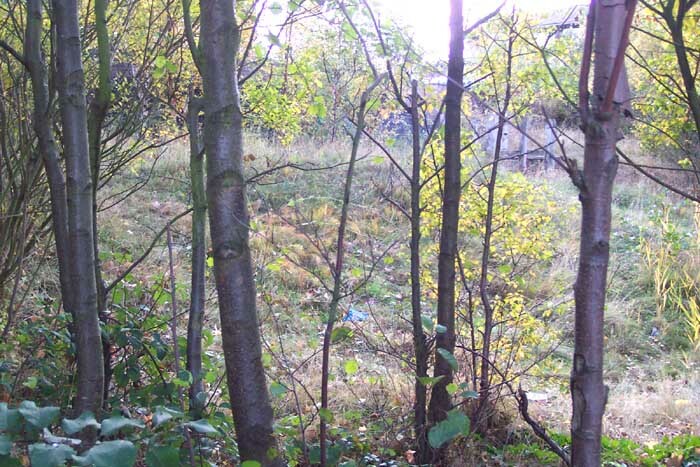 Above-right trees are growing on the site of the cutting. I was quite pleased when I found this. This is the top of the tunnel mouth looking roughly in the direction of the station at the junction of Gospel Oak Road with the traffic island. Such was the unstable state of the cutting leading to the tunnel that in its latter years trains were restricted to 10mph passing through it! It was filled in when the line closed to prevent collapse and to stop underground fire holes to which it was prone.